I’m not 100% sure what I want out of life right at this moment in time. I’m determined to succeed in something that I love. I don’t want to go to work 9-5 doing a mediocre job, being averagely happy and regretting not trying to be successful doing something that I am truly passionate about. I love social media and it has opened so many doors for some. I could browse for hours, being super jealous of ones photography skills, their outfits and designer clothing, their lifestyle and every day to day life. I decided to take the plunge a few months ago, to start my own blog, to show the world a little part of me, through a website and Instagram account. After finishing three years at college and leaving with a level 3 diploma and Foundation in art and design, I always knew I was born to do something creative. I still don’t know what that creative thing is but having this blog as a hobby is great and I only wished I started sooner. My love for blogging and social media first began when I happened to stumble upon Lydia Elise Millen’s instagram, about a year ago from now. Lydia has to be one of my favourite bloggers and it just so happens that her blog is what ignited the flame for me to start my own. I’ve been incredibly nosey and used Lydia’s blog, almost like a Bible. I’ve scrolled right through her archive, to the very first post and watched her grow and develop as a blogger and as a woman. It made me realise that you can achieve and you can succeed if you have sheer determination, consistency and a true passion. I am the first to watch Lydia’s most recent youtube videos and hope to one day be confident enough in myself to start my own youtube channel. Watch this space! 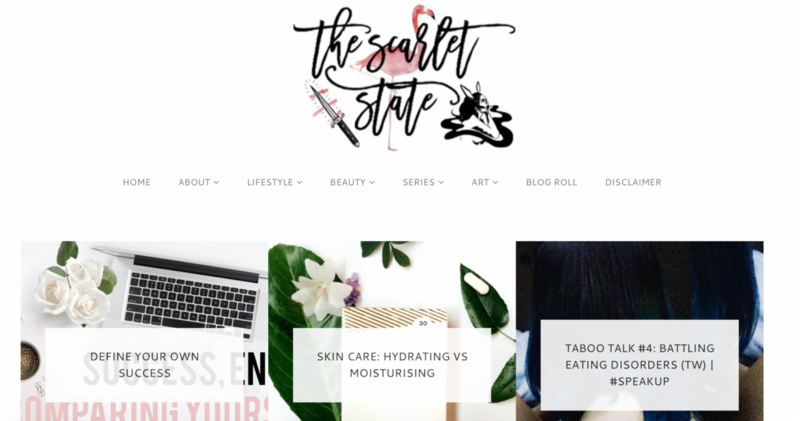 scarletstate.co.uk is a must if you’re looking for new and upcoming bloggers. Sarah is an amazing artist who I studied with a couple of years ago, back when I was doing my art and design diploma. She’s progressed so much and will definitely make it big in the art world. She has pushed me to keep at it with my blog, teaching me how to keep readers engaged and just being there to chat with when I’ve struggled with motivation. Victoria from inthefrow.com first caught my eye over on Lydia’s blog/instagram account. Since then, I’ve been hooked on keeping up to date on her snapchat stories and I just love her photography. It’s truly a work of art. Not only is her photography and writing exceptionally beautiful but Victoria is one of the most down to earth girls I have come across within the blogging world. 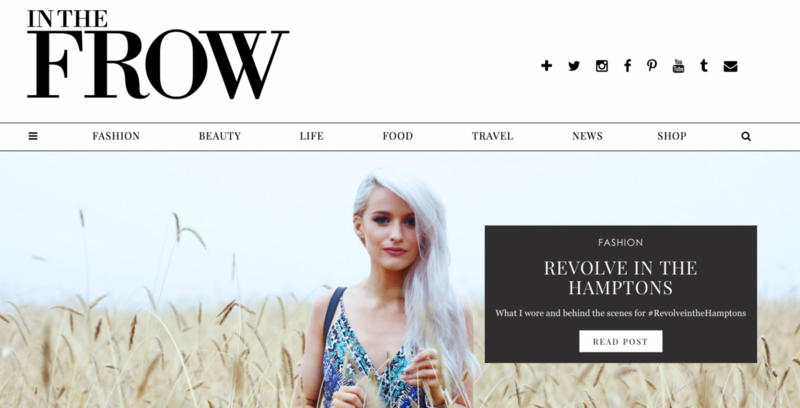 If you haven’t visited inthefrow.com then please go and check her out, you will not be disappointed! Lorna over on lornaluxe.com is one of those girls who looks as though she stepped out of a VOGUE magazine. Her fabulous outfit photos, combined with her love of travel got me thinking more about what sort of content I want filling my blog pages. If only I could afford to travel often! Yanin, over at idressmyselff.blogspot.co.uk has to be my ultimate go to girl when photographing outfits. 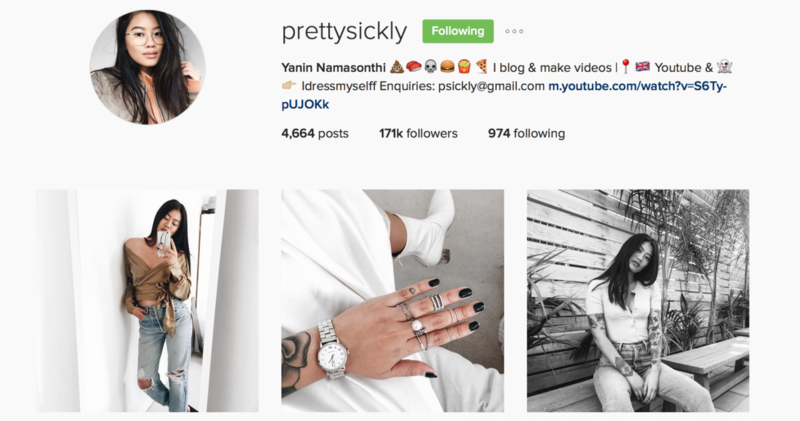 Her sense of style, the palette of her instagram and her laid back personality drew me in to wanting to see more from Yanin. I enjoy watching her travel to various places around the world and getting some insight in to the person she is over on her snapchat. Invest in a decent camera and learn how to use it properly! and take lots more photos. Be inspired by everything you encounter. Be yourself and be more confident. Do you have anyone who has inspired you, not only in blogging but perhaps just in general life? Let me know in the comments below!